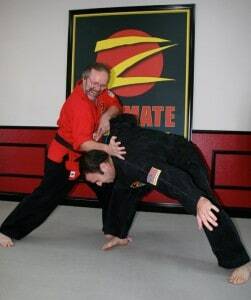 Here at Z-Ultimate, we are empowering thousands and thousands of men, women and children through our classical, practical and tactical self defense system in safe, clean, family-friendly dojos across the western United States. To help you get started with Z-Ultimate and make sure we are a good fit for you and your family, we put together this guide to help you learn more about who we are, what makes us different and what we can do for you. At the end of this article, you will have a good idea if Z-Ultimate is the best fit for you and your family. If you find out we are a good fit, you will be given the opportunity to take advantage of a Free 30 Day Test Drive – One Month of Private and Group Classes – No Cost, No Obligation. Self defense training is one of the best things you can do for yourself or your child. Choosing the right dojo is the #1 key to success in your training and having a pleasant experience. The key ingredient to picking a dojo is this: are they a good fit for YOU? A good school will be able to customize their program to fit your needs, goals, age and abilities. Instead of a one-size-fits-all approach, you want the dojo to be able to fit their program around you, instead of making you fit into what they do. Let’s see how Z-Ultimate is the perfect school for you and your family. Having a clean, safe, family-friendly environment to train in is a must. For adults, our training is rigorous and pushes you beyond what you think you can do. It is one-hundred percent natural to sometimes feel nervous, anxious or stressed in these situations, which is why having a supportive atmosphere is critical for your success. For teens and children, they need a supportive, structured atmosphere as they grow physically, mentally and emotionally. They will be learning how to perform in front of the peers as well as work with them while training. They will be challenging each other in their classes as they practice together and need a feeling of security to do so. Our dojos provide an atmosphere where people of all ages can come together, train and grow. We have bright, clean, open-floor designed facilities where the focus is on the quality of training and fun for each and every student. Our facilities are designed so family and friends can be inside or outside our facilities and see classes as they are taught. All of our locations are in clean, safe, well-lit retail shopping centers or free-standing buildings. Our schools are well-know and active in their communities, with some of them serving their communities for over two decades. 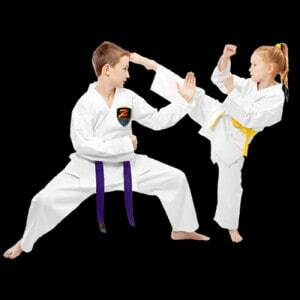 Z-Ultimate specializes in age-specific, world-class personalized instruction using our system of Ultimate Kenpo. Our style takes the “best of the best” from Karate, Kung Fu and Jiujitsu and combines them into an Classical – Practical – Tactical method of self defense that is easily adaptable to any body style. From Karate – a term that groups together most of the Japanese-based “hard” striking styles – we get the linear, power-based stances, footwork and techniques. These styles are known for their simplicity of movement and emphasis on physical strength. From Kung Fu – a term that literally means, “to be proficient in” and groups together many of the Chinese-based “soft” styles – we get the circular movement, footwork and techniques that avoiding matching power with an opponent. These styles are known for the circular, deflecting movements and techniques and are designed for a smaller person to use against a larger opponent. From Jiujitsu – a term that groups in the Japanese-based grappling or ground fighting arts – we get the trips, tackles and take downs as well as standing defenses against grabs, chokes and weapon attacks. These styles are also known for joint manipulation – like wrist locks and arm bars – as well as various chokes, strangles, breaks and controlling techniques. By taking the best from each style and blending them together, you get a system that prepares you to defend yourself in almost any situation, regardless of your size or the size of your opponent. It also allows us to train you in techniques that are the best fit for your body style. What makes Z-Ultimate different from other dojos is our Dynamic Mastery Method™ of instruction – the powerful combination of age-specific, private lessons combined with group classes. 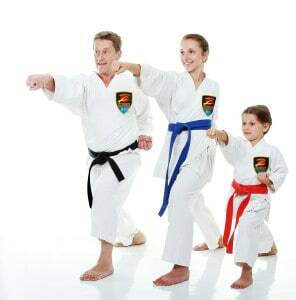 Most dojos only offer group classes – where the instructor has to teach to the lowest ranked student and there is usually a wide range of ages and belt ranks mixed together. While there is nothing wrong with this approach and it is how thousands and thousands of people have earned Black Belts, it is not the most efficient or effective way for individuals to learn. Because of the nature of group classes, the number of students attending and limited number of instructors, it is very easy for a student to develop bad training habits or miss the fine details that can be the difference between a technique being effective or not working at all. There is also little room for adjusting techniques for age, body style or ability. The difference between private and group instruction is that in private classes, we customize our training to fit your specific age, ability, body style and goals, and you learn at your own pace. Private lessons allow you to learn our system in great detail. Proper form and execution are stressed from the very beginning, so you will not only learn the technique, but you’ll learn how it works, why it works, how to practice it properly and more. After every class, you will leave feeling confident about what you have learned and what you can do to protect yourself or your loved ones. Group classes are where you will practice and apply what you are learning in your private classes. In our group classes, you will be training with people of similar age, size and skill level, with an emphasis on drilling and developing your skills. This combination of personalized instruction along with group training allows each student to learn and develop at the fastest speed possible. With Z-Ultimate, we don’t believe in “One-Size-Fits-All” – we make our style fit you. The benefits of training for men, women and children are life-changing. Our programs not only gives you priceless life-saving skills, it is the ultimate personal development program for people of all ages. Our adult classes will get you in the best shape of your life, both physically and mentally. It will strengthen your self confidence, self image and self esteem, sharpen your focus, make you mentally tougher, build total body fitness and teach you how to protect yourself and your loved ones. Our children and teen programs provide and outlet for expression and energy through vigorous physical exercise. It develops self confidence, challenges them mentally, provides a sense of belonging, improves focus and listening skills, provides positive influences, develops a healthy self image and teaches self discipline in a safe, clean, family environment. Another benefit of private lessons is they are scheduled by appointment at whatever times work best for you. You can select that time that works best for you weekly and it will be reserved for you. This way you can easily fit your workouts into your weekly schedule. Group classes are help multiple times throughout the week – days, nights and weekends, so there is always a class that you can take. You can choose whatever group classes fit your schedule; because there are so many offered each week, you can vary your group class schedule if needed – it’s up to you. You would think that a program that includes private and group instruction would be expensive – it’s not. In fact, it costs much less than a personal trainer at a gym. We offer a variety of programs based on your needs, abilities and goals and we customize our program to fit your budget. Since we offer a variety of programs, there is no way to give you an exact figure – but for about the cost of a fast-food meal a day – you can experience the power of our program and how it can change your life. Sometimes we would drive by to go to the store and I would see people training and it looked like a ton of fun. I came in contact because my grandma bought me a gift card for my birthday. My training has given me discipline, a six pack, it's made me more confident, and brought a bunch of new friends into my life. We tried a local Dojo for our son Roman (then almost 4) and then tried Sensei Chris Brant at the Carlsbad Z Ultimate studio. OMG like night and day. She is the most amazing instructor! A perfect mix of fun and discipline. The Dojo became our son's home away from home for the next 3 years. Roman competed in tournaments and in the last one took first place trophies in both forms and sparring thanks to Sensei Brant's incredible skill at training young people. We recently moved, and the hardest thing was leaving Sensei Brant and her Dojo. We will NEVER find another program for our son to equal what he had there. I cannot thank her enough for what she taught Roman and the sense of worth she instilled in him. If you are contemplating classes for your child and live near Carlsbad Ca. 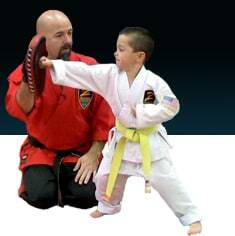 giving your child the chance to train with Sensei Chris Brant would be one of the best things you ever did for them. I am so thankful every day for enrolling at the La Canada dojo. My whole entire family trains here and we are all 2nd degree brown belts. I have had such an amazing time for the past four years. It has given me so much confidence and I have found myself through training here. I always look forward to the group classes and private lessons every single week. I have met my closest friends in karate and have been given a position as an instructor, which I am so grateful for the opportunity every single week. I love my co-workers that I always enjoy the company of. We always have fun working and training together. It has been truly a terrific experience being able to teach a multitude of students in my future goal of becoming an elementary school teacher. I would not trade this job or my passion for self defense training for anything in the world. Thank you Z-Ultimate for all that you have given my family and I! Good day everyone, I wanted to let everyone know how happy I am that my family found the Martial Arts. Several years ago my daughter was running into bully problems at school and twice ended up in the vice principals office in the same week. After talking to my daughter about it she informed me that it had been going on for a while. Meanwhile my son had run across a booth at a local spring fair for 2 weeks of free training. I figured nobody gives away free training there’s got to be a hitch somewhere. My Son and Daughter both tried out their 2 week intro lessons and were completely amazed at how easily the instructors could show them how to do things they had only seen at the movies. Needless to say I enrolled my Daughter into the program, I was amazed at the things I was watching my daughter do. Unfortunately the bullying didn’t stop and I was once again called into the schools office. I talked to the Vice Principal about moving either my daughter or the young man that was causing the problem, the Principal told me that it wasn’t practical to move either student. The Vice Principal didn’t like my attitude when I informed him that my Daughter had been enrolled into self defense classes and she also had my permission to do whatever she deemed necessary to keep her safe and out of harm’s way. I also informed him that if there was just one more incident between my Daughter and the other young man that I would be in his office promptly to rectify the situation with him and then the parents of the other student if he didn’t get busy and fix the problem at hand. After all that I received a phone message the next day informing me that the other student had been moved to another class, where he continued to cause trouble with other female students. I couldn’t have been prouder of my daughter then the day I got a phone call from the school to find out that my Daughter had been in a fight with 3 other students! As it turned out a friend of my Daughter’s was being beat up by 3 other students while a teacher standing just 10 feet away did nothing for the poor student lying on the ground in the fetal position getting kicked and punched!! My Daughter stepped up and shoved two of the students apart into the lockers lining the hall and the other one got shoved back several steps. My Daughter then helped her friend up and walked him to the nurses office, where 2 of the other girls ended up after complaining about back pain. Apparently the lock’s on the lockers weren’t too comfortable. When I got there I once again talked to the Vice Principal and had to explain that my Daughter didn’t do anything wrong, in fact I would have been mad at her if she hadn’t of done anything for her friend. The Vice Principal didn’t like me much when I showed how much I didn’t care about the school policy on fighting. All in all I couldn’t be prouder of my Daughter and all she has accomplished due to her training. I also couldn’t be prouder of the Instructors she has had on her path through life. They all have left a positive impression on my Daughter, she is now considering on becoming an Instructor herself at her home Dojo. Thanks to everyone in the Z Nation for making such an impact in my family, our community and the world as a whole, you do make a difference!! It took me more than a year of driving past the Beverly Hills dojo before I had the guts to walk in. I needed confidence. I was physically fit, but my insides didn't match my outside. Master Ducati signed me up, and by Purple belt I was helping out with classes. At Brown belt I quit my job to become a full time instructor, and I have never been happier. I have had the opportunity to share physical, mental, and spiritual fitness with hundreds of people. If I die today, I die knowing that I was able to give to the world and not just receive. My daughters Alessia and Daniela are now getting introduced to martial arts and I can see how it has helped them in pre-school and kindergarten. It is awesome to see the benefits of Z Ultimate in my own kids. I have always had an interest in Martial Arts because it helps you grow physically, emotionally reinforcing core values and I wanted my children to enrich their lives and become more confident. I thought about it for quite sometime, until one afternoon right after my dental appointment we were walking in Kent Station when Sensei Jennifer approached us and asked us if we would like to try a lesson at Z. I was about to answer when my kids already said yes, when do we start? I knew then, they both were ready to embark in a new adventure. Without hesitating we were booked for a lesson on a Saturday morning. Sensei Jennifer was waiting for us, my kids truly enjoyed this experience. While they were in their lesson, I was asked to fill-out a registration form and I was thrilled to find out how karate can improve behavior, academics, health... I just could not believe it! The answer I was hoping for was right there! My boy would finally learn the skills to have more self-control and focus while reinforcing the core values we have at home and he would have the opportunity to interact with peers that are pursuing the same. Wow! Could it get any better? Yes! I was ready for this opportunity, I had no doubt! Then, after I made a commitment to register both, I met Sensei Carl Williams. What can I say, Sensei Carl has been an Extraordinaire Instructor. He knows the needs of each student from the youngest one to adults. He works with all of them in the group classes and targets specific needs and training during private lessons. Before (May 2014), my son had difficulty showing self-control, focusing and staying on task. Sensei Carl has worked with him during challenging moments and although it is a working progress, he has improved his focus and increased self-control. Has it been easy? Of course not! but I am extremely grateful to Sensei Carl for teaching him the skills that are helping him to become a better person. Lets talk about my daughter. Remember that shy 2nd Grader? Not anymore! My daughter is passionate about practicing in the Dojo and at home. She has grown in confidence and I am giving her a priceless gift... how to protect herself. It was within a month when she asked me if she could try sparring. I was not sure about it. I spoke with Sensei Carl and he encouraged her to do it, so I supported my daughter on her decision. This past September was her first tournament, I could not believe she wanted to participate! I was afraid, but who would say... she won 4th place in Sparring and I owe all this to Z Ultimate, who found us and to Sensei Carl who works non-stop everyday in bringing out the Best in each Student. And... guess what! This is for busy Moms too. I took a couple of lessons on self-defense with Sensei Carl and it was a Fabulous Experience! I work for a school, and since then, I have been able to deescalate angry students and teach them the very first thing you will learn when taking lessons: Taking Slow Deep Breaths. Something so simple, can become difficult rushing around all the time. Try it! It works! Thank You Z! and Thank You Sensei Carl and Team Kent! I have been attending the Beverly Hills Z-Ultimate dojo for going on 10 years, I was actually apart of it long before it took its current name. I am now 15, Second Degree Brown, and firmly believe that I will be apart of this system for many years to come. The best part of Z-Ultimate is that it has remained a constant in the normal, shifting, lives of me and those around me. There is never a day when I do not learn something new that completely adjusts my idea of karate as a whole. I love it and believe that it was definitely the best choice (my parents) made in sending me to learn at Z-Ultimate. I’m glad I joined the dojo when I did. At a very young age I was able to make good friends, and later, to make friends I wouldn’t have been able to make in different circumstances, such as middle schoolers . Also the dojo has taught me physical and mental discipline, as well as how to protect myself, which has benefited my life. It’s a great place. As a senior, I joined at Z Ultimate at 66yrs old. In less than a year, it has given me confidence physically, mentally, emotionally and socially. Thank you Z Ultimate!! My name is Jake Ross and I am a Junior Black Belt at Beverly Hills Z-Ultimate Dojo. I have been studying at this Dojo for over six years and I love training here! Throughout the years I have grown to be a bigger part of this community and I genuinely feel like this studio is my second home. I have learned valuable lessons that I will carry and benefit me for the rest of my life. I admire all the Senseis and they have now become family to me; I have gained so much from their encouragement, teaching and guidance. Karate has changed my life for the better and I will continue with my training and growth for the rest of my life. I encourage everyone to try classes at Z-Ultimate regardless of your age, you will see the positive benefits physically and mentally. Join us and be a part of this healthy, fun & vibrant Dojo! I am truly proud to call Beverly Hills Z-Ultimate MY FAMILY! My name is Brandon and I am 14 years old. I have been going to the Z-Ultimate dojo in Beverly Hills for 9 years since I was 5 years old. I have trained here from white belt until my current rank as junior black belt. I have great relationships with all of the incredible instructors and am proud to call every teacher and student at the dojo a friend. Now that I am a black belt, I have begun training to become an instructor. I can now do what I love and pass on my knowledge and love of karate to a younger generation. I would highly suggest doing it to anybody, no matter what age or gender. This program makes people tougher mentally and physically. I am a better person because of it; I am more responsible, more mature, and more respectful of others. This dojo is like my second home. I love coming here and it is always hard to leave. People here are like family. I know that this experience will always benefit me whether I become an instructor or just take away from this experience the lessons I have learned. We chose Martial Arts for our two sons because it offers both athletic intensity and mental discipline. The first day our youngest walked into the dojo he said, straight away, that this was where he wanted to practice. Of course we loved the lessons both private and group but truly realized the greatness of the studio and its instructors when our first grader had a problem with a bully at his school. Our son felt comfortable discussing the problem with Senseis Ben and Meghan, whom he trusts overwhelmingly, and who immediately and compassionately came to his aid. To my delight they helped our son deal with the problem socially and emotionally, NOT physically. Both boys love the dojo, its instructors and their individual karate practices the way 8 and 10 year old boys should - it's fun, it's a work-out and they get to hit and kick stuff. As a parent, I love it as a safe, nurturing and genuinely inspiring outlet for my children, where I know they will learn and grow under the watchful and wonderful eye of caring instructors. I stopped by the ZUltimate dojo in Redmond approximately four years ago and my life has not been the same. My motivation was to try something new and challenging and also to workout and stay in shape. I've always been goal oriented and competitive and found that martial arts worked for my personality. I set a goal to earn my Black Belt by age 60. The journey has been great. I can't say enough about my Sensei's, my fellow students, and the entire family of ZUltimate. Everyone are supportive and want you to succeed. Nothing is given to you. You need to know your material before being asked to test. The tests are very challenging and as a result there is a great feeling of achievement when earning that next belt. The journey takes time and commitment but everyone can do this if they stay with it. I honestly believe I'm a better person having been part of ZUltimate family the past four years primarily because the lessons learned in the dojo apply to life. I'm able to keep things in better perspective. I'm calmer which I perceive is a byproduct of confidence in challenging mental and physical situations. My fitness goals have also been met as I weave workouts into my forms practice. I’ve been extremely pleased about what I have seen. I’ve seen my kids develop confidence, have the ability to get up in front of a crowd and do their forms, and realize they have to work for things in order to achieve goals and practice things that don’t come easily. I have seen my son go from very shy to now come out sparring confidently. I wanted to learn self-defense, lose weight and get in shape. I heard about Z Ultimate from an instructor I met at a business networking meeting. He gave me a gift certificate. After using it up, I wanted to stay and learn more from Sensei Kyle. A year and some months ago when I walked through the doors at Z-Ultimate Self Defense Studios in Carlsbad, California with my daughter, I could never have imagined how much our lives were about to change. Passing through those doors and meeting Sensei Chris Brant was one of the best things that could have ever happened to us. Sensei Brant has instilled a confidence and level of respect in my daughter I would never have imagined at this age. Not only does she make learning defense moves fun for the children she makes sure that they know why they are learning the techniques and when they would need to use them. Sensei Brant goes above and beyond being a teacher in her Dojo. She is there for all of her students and their families both in and out of class. I can honestly say we not only consider her a friend we consider her a part of our family! I would highly recommend the Carlsbad Studio and Sensei Brant. Hello. My name is Rebeca and I train at the Z-Ultimate dojo in Castle Rock, Colorado. Years ago, my brother suggested I take a women's self defense class. I was walking at the strip mall where our dojo is located on a day I was off from work. I was intrigued by the display outside the school. I talked to the instructor at the time. I tried a few classes and a month later, I signed up. That was six years ago. I am a first degree black belt. My training means a lot to me. First, it helps me deal with conflict in a healthy manner. I used to avoid it. Now, it is easier to manage. Sparring is a way to train the mind to deal with conflict in a healthy way both inside and outside the dojo. Second, my training has helped me deal with depression and anxiety. Committing to a training schedule and goals keeps me accountable and builds my confidence. Third, my training keeps me fit. I have reached fitness goals I didn't think I could reach. Last, I like the mental and physical challenges that the martial arts bring. Each degree has a new layer of challenges, both physical and mental and I welcome these challenges. They make me grow. I have made great friends and I have trained with excellent instructors and training partners. My martial arts training is an inherit part of who I am and I am grateful that I have found this sport and a great group of people to train with. I started with Z Ultimate 8 years ago. I had recently finished my military service and it left me with a gigantic void in my life. I was searching for something that would give me a sense of confidence as well as the comradery i was missing. I found it instantly. As my training continued so did my passion for the art and this lifestyle. After I earned my 1st degree black belt I started assisting my chief Instructor, Master Carlson. Her tutelage led me to realize my personal best by becoming a Chief Instructor and eventually partial owner of a studio. As I navigated those waters I was so fortunate to be inspired and coached by so many both in Colorado (Master William Clark and Mr. Curtis Flick) as well as many instructors in California as well. I have never found the support system that I have with Z. Not even in the military. I am so Thankful to be a part of this amaZing company! I can't say enough good things about the amazing experience we have had thus far at Z Ultimate. I have two boys, a 9 & 10 year old, who have been with Z Ultimate just under a year, (we moved here from NYC a year ago where they are black belts in Tae Kwon Do). In our experience every seinse we have had the pleasure of working with at various Z Ultimate studios are great. My boys’ current teacher is Seinse Jairo who is amazing and extra exceptional! Both of my boys have focus issues and after 4 years of martial arts training, (all good experiences), no one has ever come close to making them feel more confident and self assured about their abilities to focus, learn and perform the tasks being taught. Seinse Jairo recognizes their challenges and has taught them breathing techniques that they can use both inside and outside of the studio. If they lose focus he brings them back without them feeling bad about themselves or shamed. He has a heart of gold and cares about the kids. He also has an incredible ability to teach the form and techniques of karate. We are very grateful to have found him. He is an important part of my children getting all the benefits of Karate, (improved physical health, self esteem, focus skills and conflict resolution to name a few). So appreciative are we to have Seinse Jairo that we followed him from Westwood which greatly increased our commute time from Marina del Rey. A quote from my eldest son who still battles nausea in traffic is, "I would get car sick every week if it means I get to train with Sensei Jairo. I have to have him." What more could a parent want? Last but not least I don't want to leave out Sensei Kim who is also in Beverly Hills now. She ran a fantastic ship at Westwood and is already doing that for Beverly Hills. We are so happy she is here too and I have complete confidence in her as a teacher and leader. The boys love group with her. We are excited to see what these two will do for the Beverly Hills location, our new Z Ultimate home. To make it easy for anyone to get started and prove to you how our program can change your body and change your life, you can take us for a Free 30 Day Test Drive, No Cost, No Obligation – with our compliments. This includes one month of our training program – private and group training – along with all the materials you need to participate. To get started, you will meet with an instructor at the location best for you, register as a student, get your materials (uniform), set up your lesson times for the month and take your first lesson. You will have 30 days to train with us and make sure we are a good fit for each other. At the end of the 30 days, if you want to continue, you will let your instructor know and they will let you know the next step. If not, we part as friends and you get to leave in better shape than when you started and with some valuable self defense skills. To get started, simply fill out the form below to register online; from there you will be taken to a page to find a dojo near you. Once you have found that location’s page, you will be taken to the location’s online calendar, where you can pick a time to go down to the school, meet the instructor and get started. You can also call the location if you like. Congratulations and welcome to Z-Ultimate Self Defense Studios!